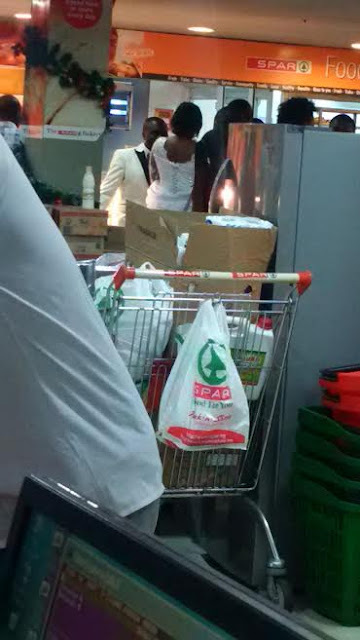 An eyewitness spotted these newly weds at Spar supermarket in Victoria Island buying stuff for their reception. The person who sent the photos in said they purchased Meat Pie, Coca-Cola and other edible stuff. What could be wrong?